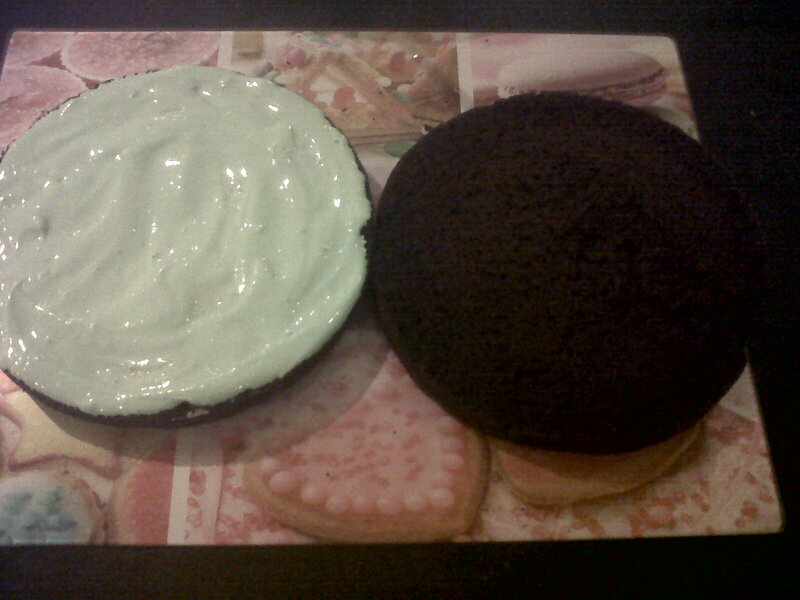 The life of a gingerbread girl..: Low fat mint chocolate cake...now you can have two slices! Low fat mint chocolate cake...now you can have two slices! Tastes like a mint aero! 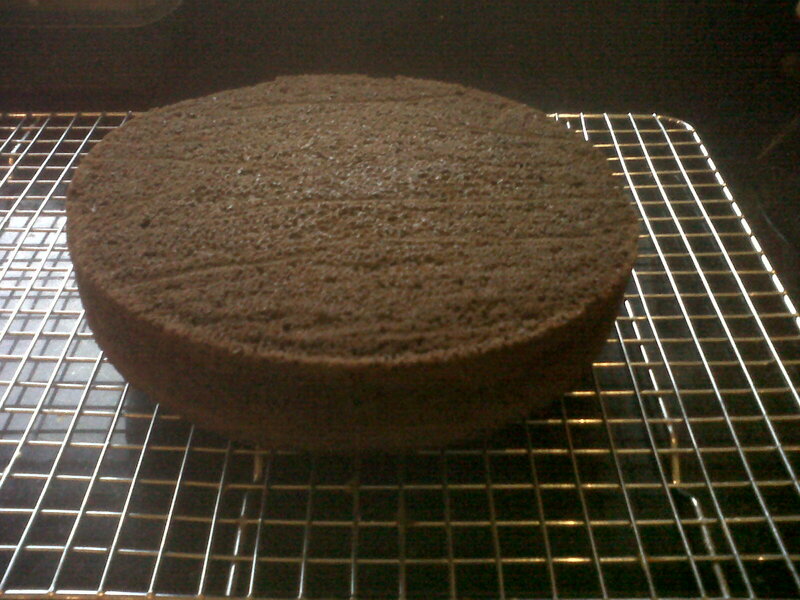 A friend of mine has been requesting a low fat chocolate cake for months now. I'm not really one for low fat alternatives, I always think they taste strange and would prefer to have a little bit of what you fancy as a special treat. It's her birthday, and again the low fat chocolate cake was brought up. Fine!! Ok!! I'll make one!! Even though my last attempt a few months ago was a strange tasting, meringue-like chocolate cake that I wouldn't feed to anyone. 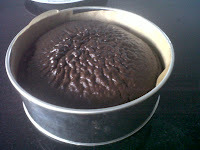 It lacked flavour, so went in the bin and she was given gooey ridiculously chocolatey fudge cake instead. At about 500 calories per slice, it's not exactly a woman's best friend. This chocolate mint cake only has a little fat in it, though like most things that are low fat, the sugar content is relatively high. You can't win 'em all, but for anyone following a low fat diet, you have to try this recipe. Preheat the oven to 170d (fan oven). Sieve all the dry ingredients into a large bowl with the peppermint. 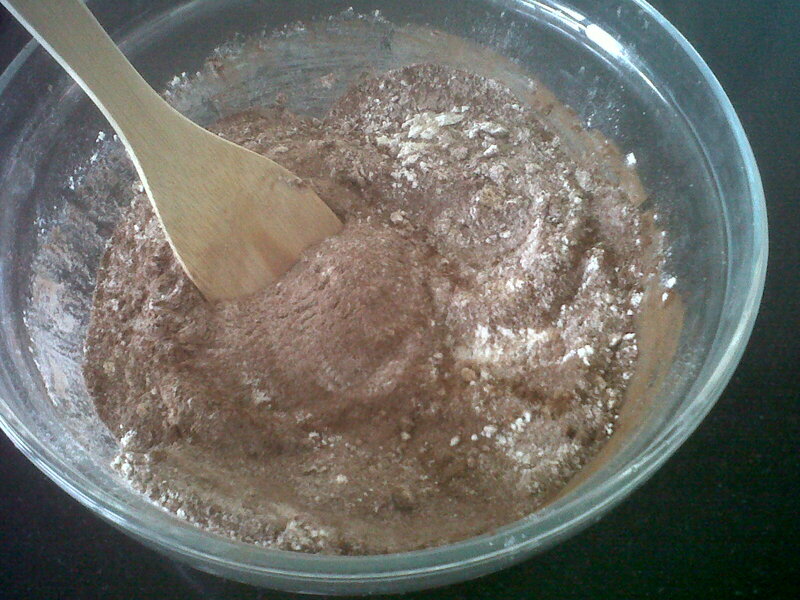 Whisk together the egg whites, peppermint essence and milk. Next stir in the boiling water. 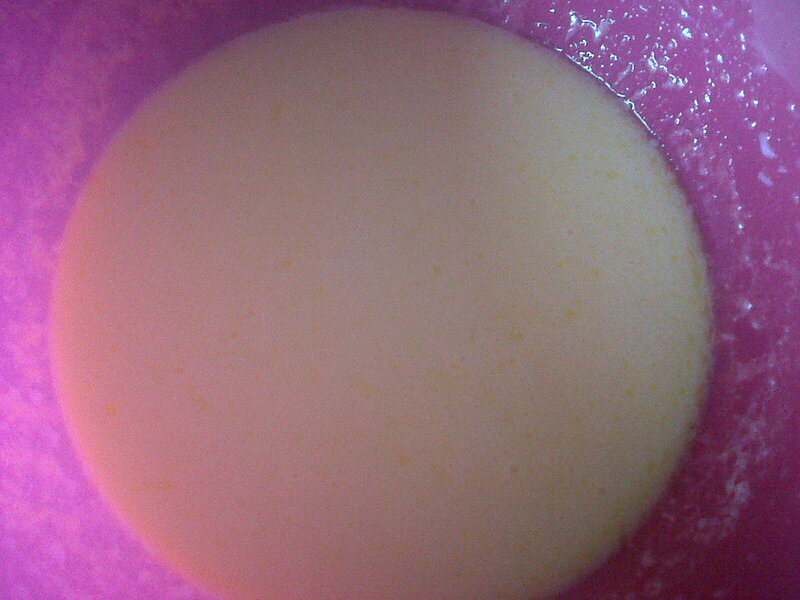 This will be quite a thin liquid mixture, so don't worry that you've done something wrong. Add the liquid ingredients to the dry ingredients, and stir until just combined. 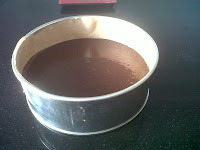 Pour the batter into the prepared cake tin and bake for 45 minutes or until a cake tester comes out clean. 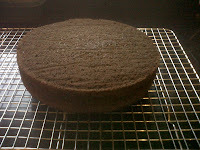 Leave the cake to firm up in the tin for 5 minutes before turning out onto a wire rack to cool. *You can pick this up in nearly all supermarkets, or in one of those retro sweet shops that are in most towns. 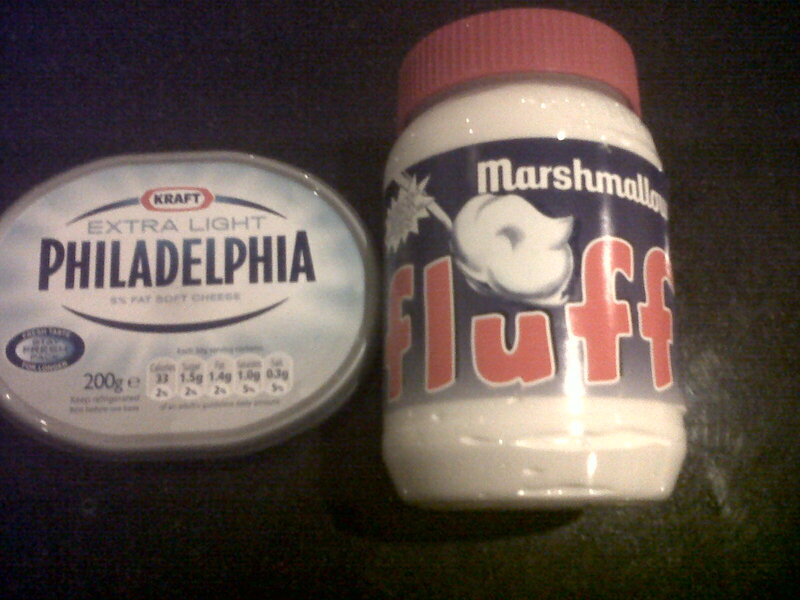 If you can't get your hands on it, melt a bag of mini marshmallows with low fat milk until you have a spreadable consistency. 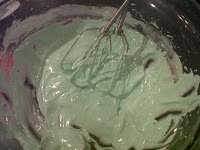 Then beat in the cream cheese, flavouring and colouring. 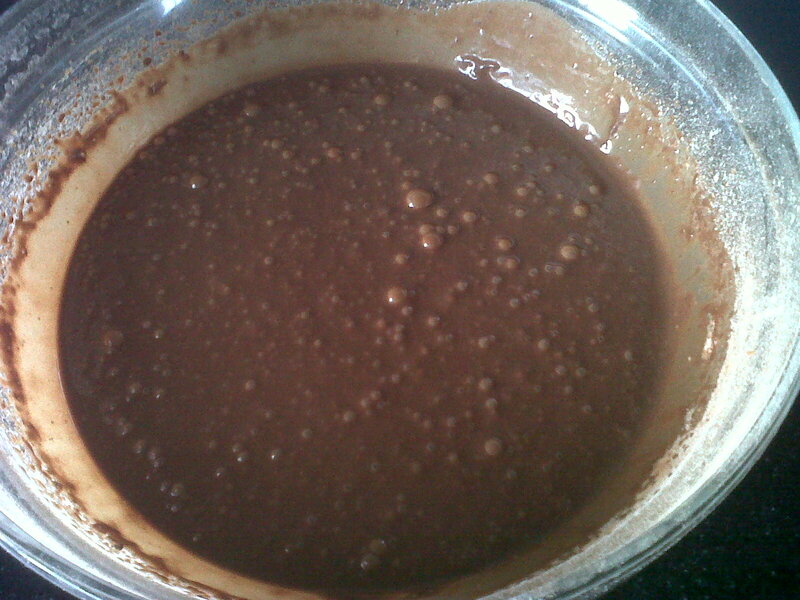 Using an electric whisk (cos I'm a bit lazy about whisking by hand), whisk all the ingredients together until you have a smooth, glossy icing. 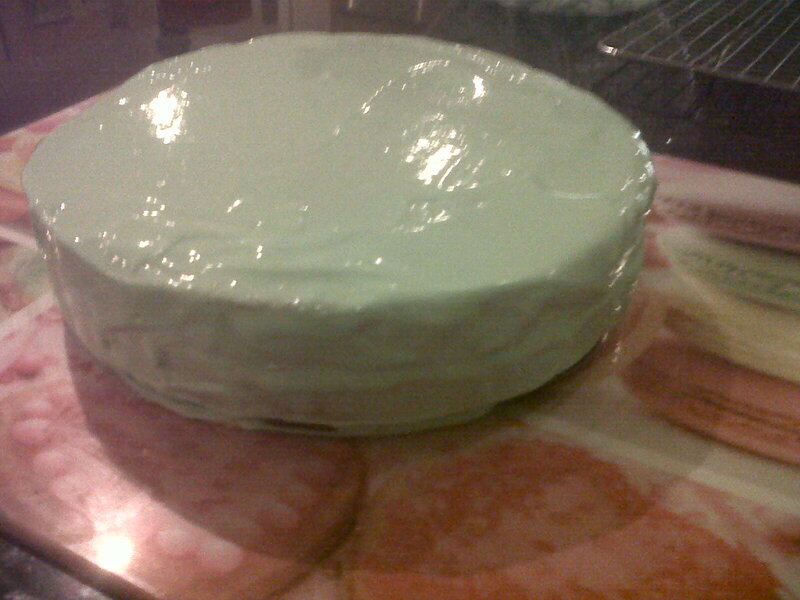 Use about 1/3 of the icing to sandwich the cake together. 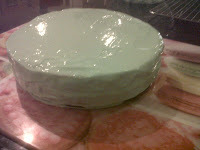 Using a palette knife, spread the remaining icing over the top and sides of the cake. 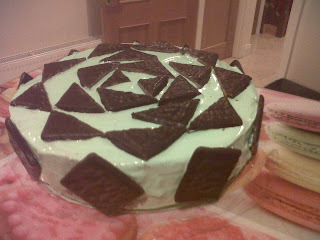 The cake is gorgeous the way it is, though I used After Eights to complete the decoration. You could use mint Aero or any after dinner mints you have to hand. For a festive alternative, decorate with peppermint candy canes. I'm devastated I can't cut a slice to show you how good it looks. From tasting the cake crumbs, and icing this cake is an absolute winner. It's rich, chocolatey and moist, and doesn't taste like a strange low fat alternative.